Be honest: We all kinda saw this coming, didn’t we? 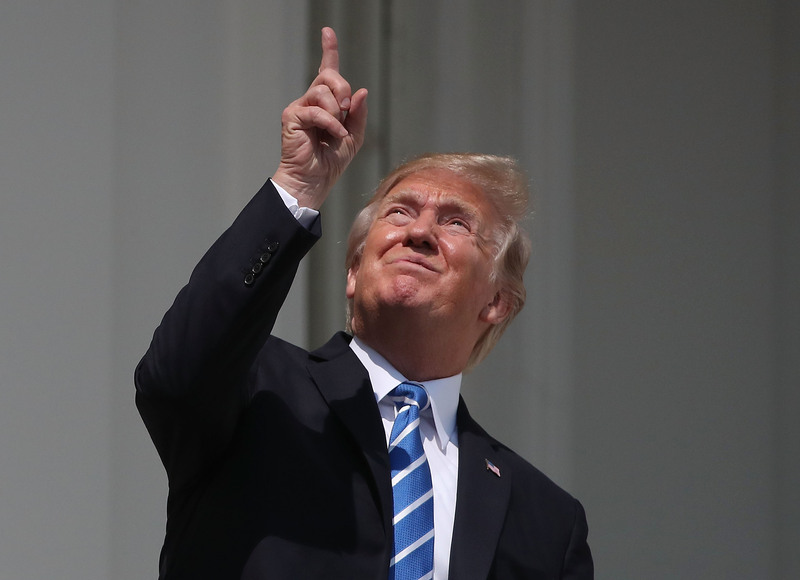 Yes, Donald Trump looked at the eclipse with his bare eyeballs, and honestly, we’re not that surprised. It was almost like we all had a collective That’s So Raven moment and knew this would happen hours before it did. But even so, we’re still a bit baffled as to why he did so. Numerous NASA scientists, doctors, and eclipse experts drilled safe viewing procedures into our heads in the days leading up to today’s solar eclipse. Looking straight at the sun is a no-no. We guess those safe viewing procedures only apply to those of us who aren’t president? But alas, it was too late. And now of course, Twitter is on fire with jokes, much like Trump’s retinas probably are after having been seared by that big fireball in the sky. Welp, it’s also a fact that some people just have to learn the hard way.